Does freezing water kill bacteria? In an attempt to ward off illnesses caused by bacteria, people resort to all sorts of methods to sanitise water and make it safe for consumption. Boiling water, exposing it to UV lights and filtering it through special filter media are the most common ways to destroy disease-causing bacteria and viruses present in tap water. But what about freezing water? Can freezing water be an efficient way to kill bacteria? Many people use unfiltered tap water in icemakers being convinced that by freezing water, bacteria in it will be destroyed. Unfortunately, freezing water will not help in getting rid of bacteria, and it will not make tap water safe to drink. As a result, freezing water is not an acceptable way to sanitise or purify water. Ultraviolet water filters are probably the least maintenance-intensive water filtration products on the market. These systems rely on ultraviolet light to purify your well water or tap water, and are efficient against all types of bacteria and viruses. Although UV water filters need to be serviced only once a year, there are some special maintenance requirements that have to be observed to ensure that your UV filter successfully sanitises your tap water. In this article, we’ll go over some of the most important ultraviolet water filter maintenance tips that everyone who owns an UV water sanitiser should be aware of. Ultraviolet water filters come in different shapes and sizes – you’ll have simple, UV water filters without any UV pre-filtration systems, or UV disinfection systems that contain a sediment pre-filter, or systems that also contain an activated carbon filter. This latter filter construction – 3-stage water disinfection system – is deemed as the most ideal for filtering water in your entire home. In this article, we’re going to analyse the importance of subjecting your tap water to the effects of an UV water filter that will kill harmful bacteria and viruses that may endanger your health. This is especially important if your tap water is coming from a private water well, lake or river. Without doubt, clean drinking water is indispensable in any household. Tap water isn’t inherently problematic, and it’s generally considered safe both for cooking and drinking. However, contaminants may find their way into your water supply through damaged or rusty pipes, and, unbeknownst to you, expose you to some harmful contaminants. Even if you don’t use tap water for drinking purposes, you’re probably using it for cooking or washing fruit and vegetables, or even for preparing coffee or tea. 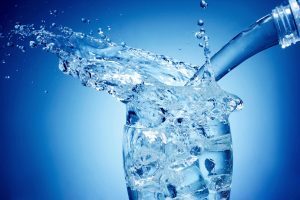 Of course, you could switch to bottled water and seemingly resolve your concerns about whether tap water is safe enough, or you could just as easily install a water filter system in your home and put any safety concerns to rest. 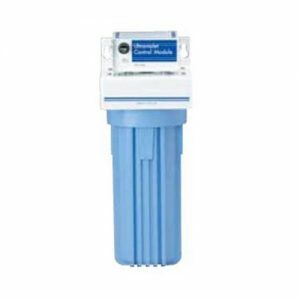 How to choose an UV water filter for your home? 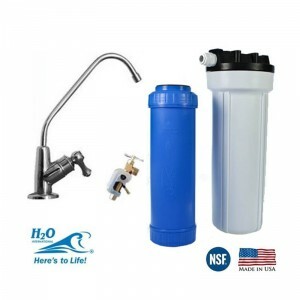 Standard home water filtration systems may offer a certain level of protection against bacteria, however, water known to be more problematic from a microbiological standpoint is best treated with the help of an UV water filter. UV water filters are capable of eradicating 99.9% of bacteria in water, thus removing a wide range of water-borne pathogens, bacteria that cause gastrointestinal problems, viruses, and other harmful microorganisms. Exposure to UV lights renders microorganisms inactive by destroying their DNA, and preventing them from infecting or multiplying. All this is achieved without changing or influencing the taste of water in any way. 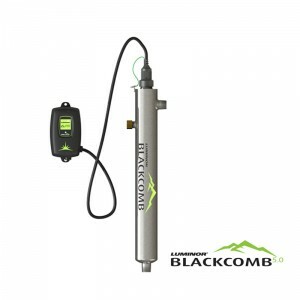 Ultraviolet water filtration is an effective way of eradicating microorganisms without involving any chemicals in the process. To achieve the desired effects, you must know how to choose an UV water filter that is suited for your home’s water purification requirements.